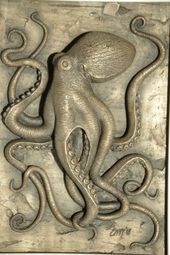 The octopus, traditionally sculpted in clay, molded and cast in bronze metal powder and polyurethane resin. 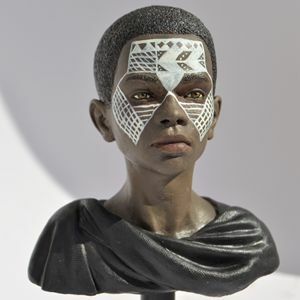 Each limited edition cast comes in an 8x10 inch wooden frame. 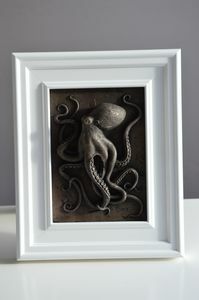 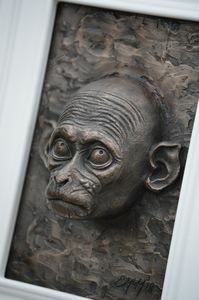 cold cast bronze high relief framed sculpture.